We all have dreams, right? Visions of grandeur, things we want to achieve, places we want to go, people we want to meet, etc. Holding on to that dream can be the ultimate struggle especially when you’re living off of Taco Bell & Ramen noodles on a friend’s couch and have no idea where your next check will come from. I know, I’ve been there. But you can’t quit yet. Some folks argue that life is about the journey, not the destination. But frankly, that journey can be full of downward-spiraling obstacles that leave even the most positive of people feeling absolutely defeated. Sometimes your dream feels hopeless, sometimes notions of getting a “real job” float around your mind and sometimes you just want to throw in the towel. But you can’t quit yet. The ever-changing, constantly evolving High Voltage empire has been my dream for 10 years. 10 years! It’s hard to believe it’s been that long. Did you know I nearly gave up on High Voltage twice? It’s hard to continue to push through the lows when you’ve hit so many of them. However it’s those “rock bottom” moments that usually produce the best inspiration. You just have to power through until inspiration strikes. 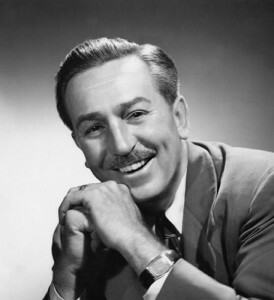 Did you know it took 10 years of hard work before Walt Disney even began crafting Mortimer Mouse (you know him as Mickey)? However, Walt faced several ups & downs including some success with his first character Oswald which, in a deal with Charles Mintz at Universal, he lost not only the rights to but also his staff. You see, Oswald was costly to produce and when Walt asked for a budget increase, they countered his offer with a pay cut instead. Charles Mintz told Walt, “Take it, or I’ll ruin you. I already have your key artists signed up.” Walt had two choices, take it or start his company all over. He opted for the latter; thus creating Mortimer. Lucy always had show business dreams. The problem? Nobody else seemed to get it. Sure, she had several chorus line gigs on Broadway, was a poster girl for Chesterfield Cigarettes, and even had a B role in several major motion pictures. But nobody knew her name and she was still picking up side jobs for incomes. From 1926-1946, she was relatively unknown and struggling. 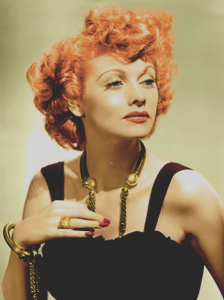 Her big break occurred in 1947 when she landed a lead role in the radio show My Favorite Husband, the show that would eventually become the television hit known as I Love Lucy. Although Lucy would’ve told you her big break was in 1937 when she starred alongside Katherine Hepburn in Stage Door, that was still 11 years into her dream! 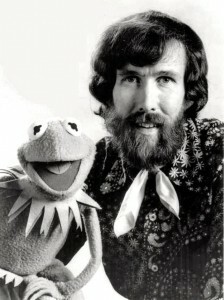 While in college, Jim had a 5 minute TV show called Sam and Friends where the first prototype of Kermit The Frog would appear. Sam and Friends, a popular local hit, was on air from 1954-1961. In 1957, Jim created a coffee spot (featuring two puppets of his creation) that would gain national syndication/exposure. Also putting some money in his pockets. He’d form his company, Muppets, Inc., in 1958. Doesn’t all of that sound great? Ok, so then Jim graduates college in 1960 and begins to doubt his career as a puppeteer. Seriously! He ventured off to Europe for a few months, came back to several hits & misses and the Muppets dream didn’t really gain popularity until he was brought into Sesame Street in 1969. Even then, The Muppets themselves wouldn’t see the limelight until 1976 when The Muppet Show premiered which occurred after a failed attempt at incorporating Muppets’ sketches into Saturday Night Live. Nearly 22 years of holding on the dream! Bottom Line: You may have to bend or adapt your dream but in the end persistence, dedication, ambition, drive and passion all pay off if you don’t give up. Take daily action towards your dreams. Even the smallest drop in the pond can produce a big ripple and objects in motion tend to stay in motion.